As the debate over vaccinations rages on, questions abound as it relates to this hot button issue. Politicians, medical professionals, and average Americans have been grappling with many of the questions surrounding this topic, including requirements for vaccines, the rights of parents, when children must be vaccinated and what for, and what role doctors should play in the vaccination process. One of the critical questions that is seldom addressed in the context of vaccines is: can how a doctor or medical professional handles vaccinations provide cause for a medical malpractice claim? In this article, we delve into the nuances of vaccinations and the potential correlation with medical negligence. If you suffered severe complications after being vaccinated or you believe medical errors with vaccines led to catastrophic illness or death for someone you love, the New Jersey medical malpractice attorneys at Fronzuto Law Group can help. Call 973-435-4551 today or fill out our online form to receive a free consultation. Vaccines: What, When, and Why? A vaccine is actually a minimal dose of a virus or bacteria that is administered to help your immune system better attack the associated illness if and when you come across it in the future. In other words, a vaccine is essentially a set amount of weakened or dead germs that serve as your body’s introduction to a potential illness. Today, we use vaccines to help patients young and old better fight illnesses and diseases. Some examples of common vaccines include those for: chickenpox, measles, Hepatitis A and B, influenza (the flu), Human Papillomavirus (HPV), mumps, and tetanus. Some of these vaccinations are given during childhood, while others may be a yearly form of prevention for certain populations, particularly the elderly. New Jersey requires certain mandatory vaccinations in order for children to attend Preschool and Kindergarten through twelfth grade. Colleges and universities also require proof of vaccinations in order to secure attendance and/or on-campus housing. Can I Sue for Medical Negligence with Vaccinations in New Jersey? While vaccinations can serve as a vital form of prevention and may even save your life, mistakes with vaccines can also cause catastrophic harm. Whether you are an older adult hoping to prevent getting sick during flu season, or a parent going through the process of immunization for your child, you expect the vaccine to contribute positively to health and wellbeing, as opposed to creating a dire medical situation. Unfortunately, medical negligence involving vaccines can, and does occur. One example of mistakes while vaccinating occurs when a patient suffers an infection from a vaccine. Typically, these doses will be provided through injection with a syringe. If used, unsterilized syringes can lead to serious infections and even sepsis. In other cases, re-using syringes while administering vaccines can transmit serious disease from one patient to another. For instance, there was a recent case in Saddle Brook, New Jersey in which a surgical center may have exposed thousands of patients to HIV. Additionally, a nurse in West Windsor was forced to surrender her license after reusing syringes to provide flu shots and Hepatitis vaccines. Vaccinations also require extreme precision in order to prevent severe complications. If doctors or nurses fail to follow the required immunization schedule, provide the wrong dosage of a vaccine, or use the wrong vaccine entirely, the patient may experience severe illness or even permanent harm. 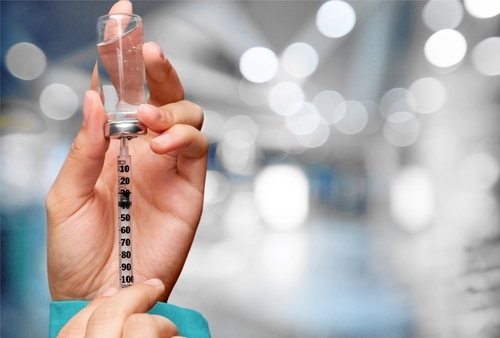 Further, providing an immunization to a patient with an extremely compromised immune system can create the opposite of the intended effect – causing an aggressive case of the disease or even death. Lastly, failing to conduct a thorough medical history, ask about a person’s allergies, or find out the current medications they are taking, can lead to adverse reactions when giving a vaccine. All of the scenarios may give rise to a medical malpractice claim. Being subjected to medical mistakes while vaccinating yourself or a loved one can cause a fundamental crisis of confidence in the medical professionals responsible for your care. Beyond that, errors with vaccines can lead to severe injury and life-long complications. If you or someone you love may have been a victim of negligence while being vaccinated in New Jersey, it is highly advisable to seek legal counsel from an experienced medical malpractice attorney. Understanding the legal avenues that may be available to you is the first step. Contact our firm now at 973-435-4551 for a free case evaluation.